Why is Your Sales Rep Failing? | xPotential Selling Inc.
HomeSales Sales Management Why is Your Sales Rep Failing? Why is Your Sales Rep Failing? 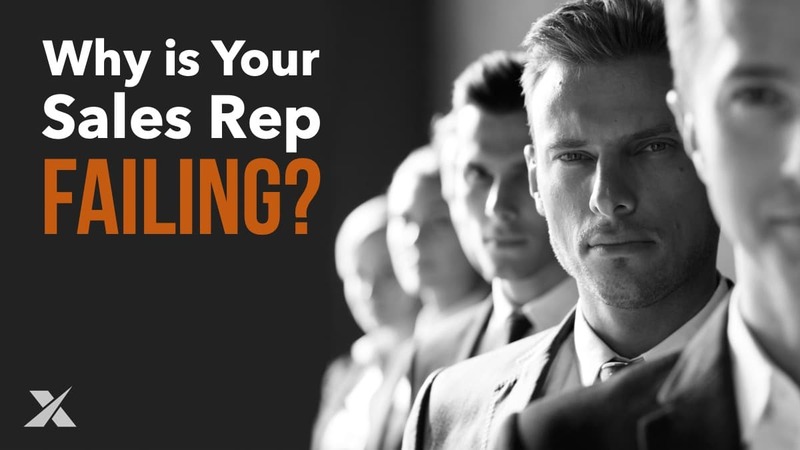 Does your sales rep have the right personality style that aligns with what their job requires? Most roles require a higher level of kinetic energy. Basically, hunter roles mostly require a lot of travel, multi-tasking, and lead generation. Fundamentally, that requires a lot of energy that many introverts don’t have. Or, they have to increase their energy level, which can lead to stress, if they have to sustain this over a long period of time. Make sure that your sales rep has the energy level that meets the job requirement. If they don’t then they may need you to provide them with more resources, take some things off their plate or move them into an Account Management role. In some cases, your sales rep may not value what the sales job rewards. For example, a commissioned sales job rewards with variable pay – the more they sell the more they make. What happens if your sales rep doesn’t value making money to level that the sales job offers? They may become satisfied once they hit a certain income level and then their drive tapers off and they don’t pursue more business. In addition, many hunter sales roles reward with autonomy – sale reps who set their own schedules and are more independent. If your sale rep has a low autonomy drive, they will tend to need more hand holding by their sales manager. They may exhibit more dependent, rather than independent behaviors. As a result, they probably won’t achieve their sales quota. In other cases, we’ve seen sales reps who were highly motivated by knowledge and learning. On the surface this may seem very good. They learn everything about your products and services. They are a knowledge resource to their prospects and customers. However, they can be so enamored with possessing knowledge that they fail to take action. They spend more time getting ready to get ready, than taking action on their plan. One of the most difficult causes of sales failure to identify is a deficiency in a sales rep’s thinking patterns. Let me give you a couple of examples. First, some sales reps, who are very extroverted and assertive, can overvalue relationships. This causes them to be hypersensitive with others. Issues like prospecting, rejection, objections and negotiation become problematic. As a result, they have inadequate pipelines, lower margins and smaller sales. Another cognitive issue that’s hard to detect is a lack of self-confidence. A sales rep that undervalues themselves, can experience call reluctance and, again, have similar results to those who overvalue others. Even worse, is when a sales rep is plagued with both sensitivity to others and low self-confidence. This combination can result in a complete shutdown of sales activities and quota achievement. It’s difficult to diagnose since it can happen to strong extroverts, who, on the surface, appear to be assertive and good with people. These hidden issues affect sales teams all over the world and leave sales leaders struggling to find a resolution. Click here to find out how you can quickly and accurately assess your sales reps’ and sales candidates’ personality, motivation and thinking patterns.